A flowchart example is a type of chart which shows information using a symbols, images, or diagrams. Typically, a flowchart represents a flow movements or activities in sequence. The movements are written inside boxes connected by arrows which usually indicates the sequence or order of the movements. There is a wide variety of flowchart uses that people are familiar with. Most of them are used in processes that require analysis, documentation, management and other processes in different subjects or fields. 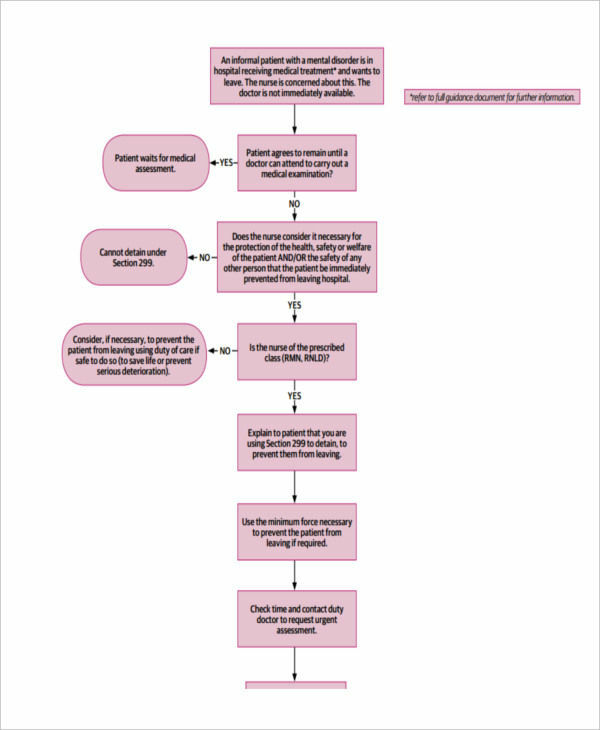 A nursing flowchart is one among the many possible uses of flowcharts example. A nursing flowchart is a type of flowchart which is typically used and followed by nurses or individuals providing nursing care or practices to other people. 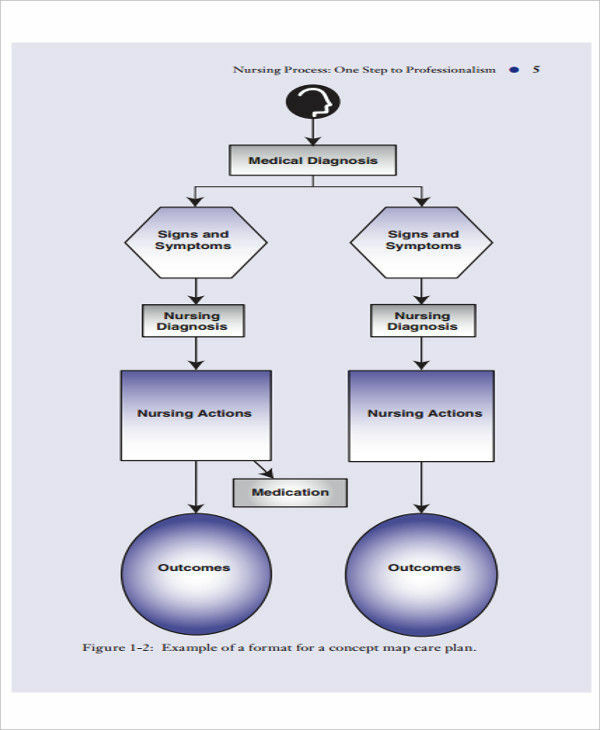 Nursing flowcharts, in general, presents a documentation of processes (especially nursing processes) and policies to be followed by those involved in nursing practices. At times, it is also used to guide ordinary people on how to avail or ask for nursing assistance. 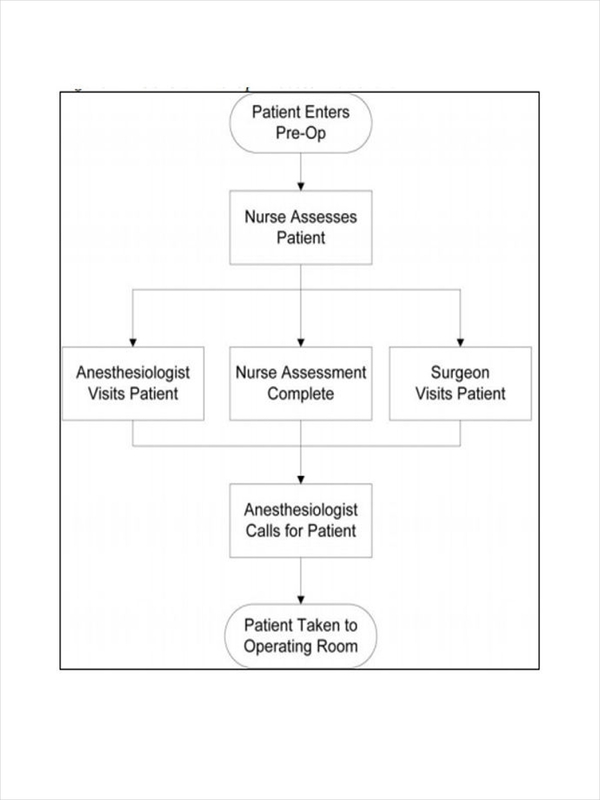 A nursing flowchart example simply shows people in the healthcare industry especially those who practice in nursing care. Nursing flowchart show different processes, especially the most important ones like the process of responding to patients and emergencies quickly and easily. 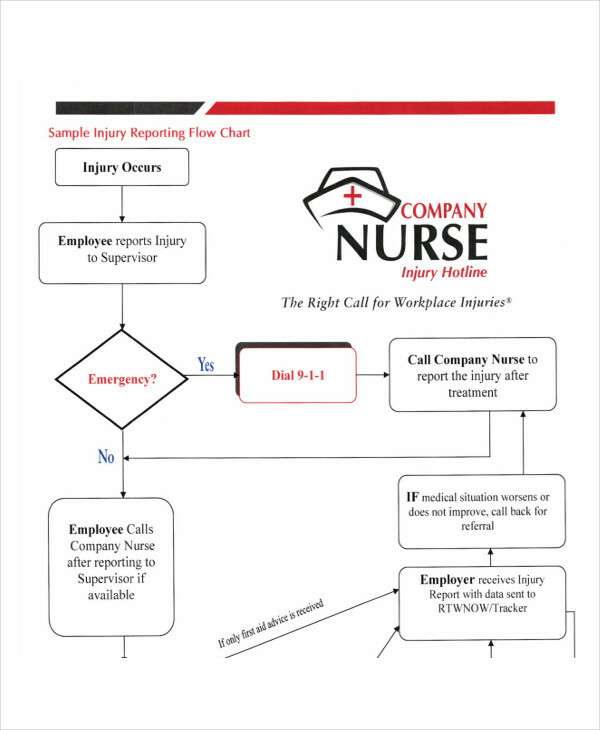 Nursing flowcharts also present the information, processes, and services in a hospital or clinic in a simpler and more understandable manner. A nursing flowchart is one of the tools which help in minimising or even elimination mistakes, failures, and customer/patient complaints in the healthcare industry. People in such industry rely much on nursing flowcharts for guidance and clarification. 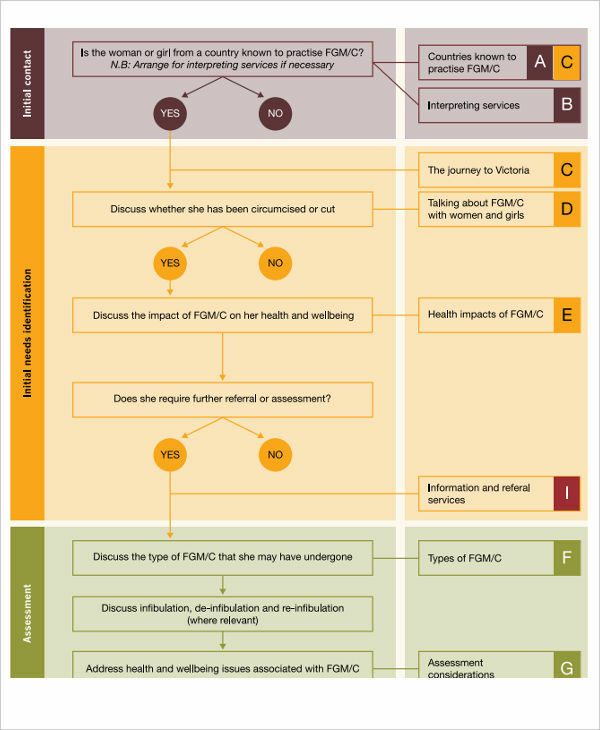 Nursing flowcharts or flowcharts in general reduce the patients’ inquiry time by easily showing simple processes which can be easy to comprehend and follow. Also, information displayed on flowcharts can be easily improved in case the need for improvement arises. A nursing flowchart displays information to the people involved in nursing care, as well as to patients. It is thus, a must to ensure that the information written in a nursing flowchart is accurate and well-presented. 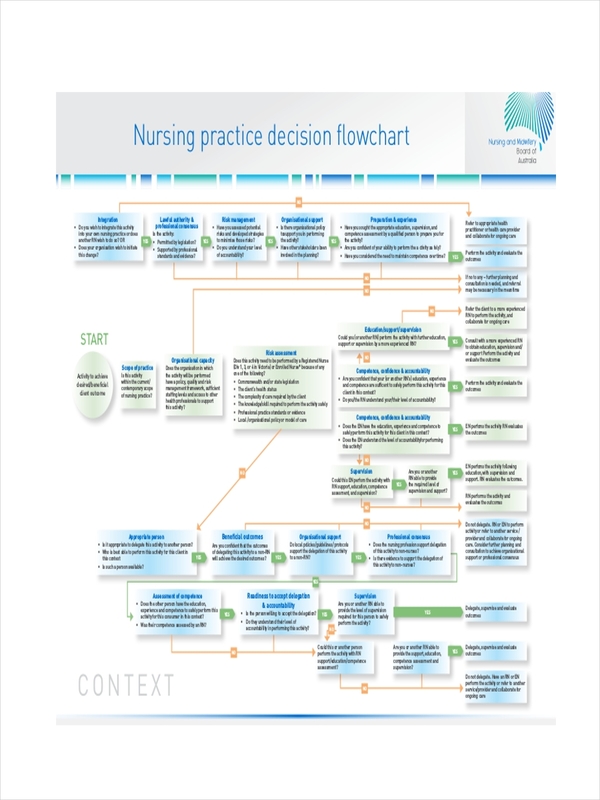 Identify the purpose of creating a nursing flowchart. This gives you a purpose and sense of accomplishment once you complete your flowchart. Choose a main topic. Know what topic or subject to write about and identify the necessary points to be included in your chart. Decide on the flow of processes. Break down the topic into multiple processes, and indicate the sequence of processes using boxes and arrows. Use color coding. 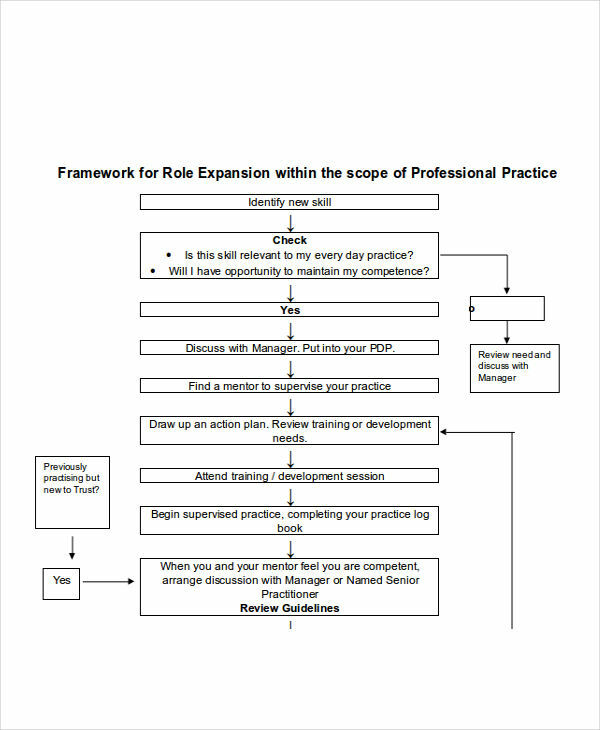 If there are different factors included in your flowchart other than the processes, (e.g. persons involved, facilities, etc) use different colors to distinguish the difference between them. Avoid overcrowding. Keep your nursing flowchart simple, and do not use too many symbols or images. Review and improve your nursing flowchart. Make sure you polish your work and remove errors which might cause confusion and misunderstanding on the part of your readers.